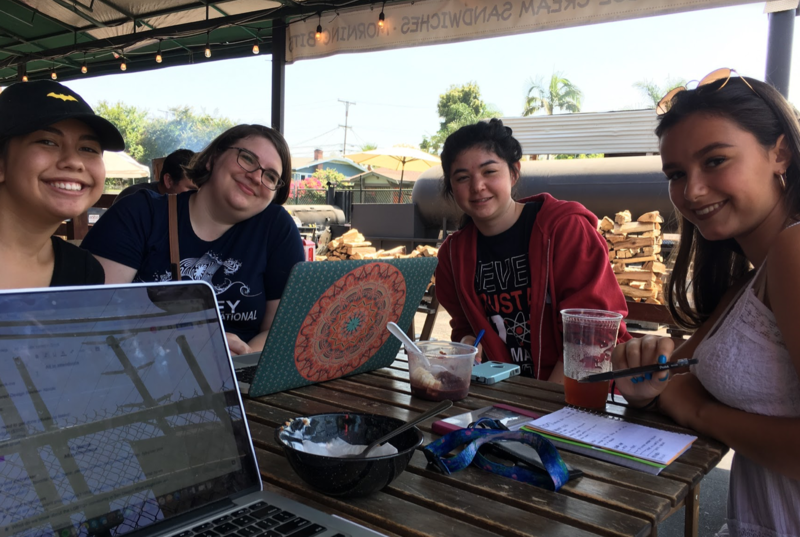 Our first meeting with our Youth Peace Leaders was in the early morning at a small outdoor coffee shop called Communal Coffee. There were feelings of both nervousness and excitement in the air as we all first sat in a circle at our table together. We spent the first half of our meeting having fun, getting to know each other, and laughing. The anxiety melted away and we began to discuss why we were all really there. We were together because there was a common thread among all of us: we each believe in a person’s right to be who they are and we all want to make the world a more connected, peaceful place. As Interns, we were immediately struck by how passionate and experienced the Youth Peace Leaders were. As a Thread, we immediately felt confident that we would work well together and create a unique, awesome community change project. Our group dynamic was effective and friendly right off the bat. Each person brought something different to the table; some of us were more creative and visionary, while others of us were more logistical and could make the visions come to life. We briefly talked about our strengths and working types. Our whole group identified as female, but we were diverse in ways other than gender; we were different races, had different personality types, and came from different backgrounds. Quite immediately, we started to talk about the LGBTQ+ community and potential project ideas. We researched LGBTQ+ history on our computers and discussed current statistics to decide what angle we wanted to focus on for our project. 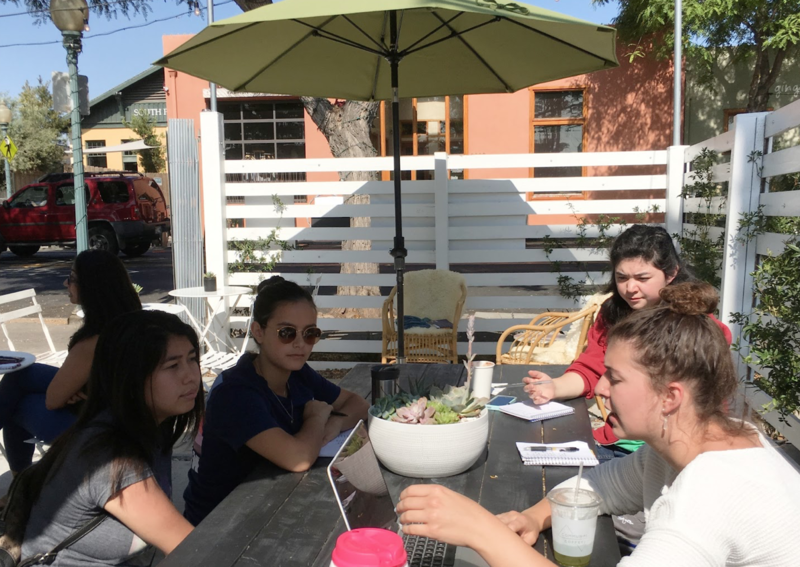 At the end of the first meeting, we each took on an assignment and we all agreed to come to our next meeting with a list of potential project ideas that we could further brainstorm and talk about together as a group. The first time we met our Mentors, Jen LaBarbera and Fernando Lopez from SD Pride, was an early summer meeting at their office in Hillcrest. The meeting was a week after San Diego’s Pride Weekend, so the office was eerily quiet but peaceful after all the madness from the previous weeks of planning and preparation. 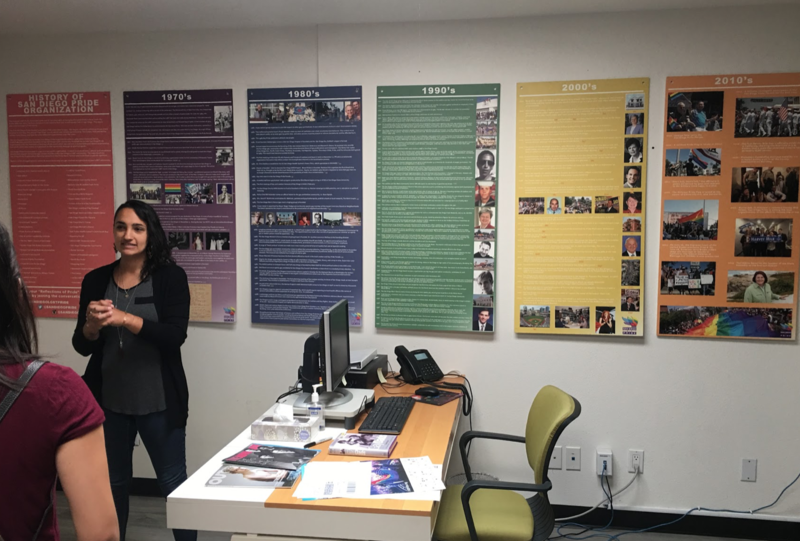 After Jen gave us a tour of the office, she and Fernando gave us a short history lesson about the LGBTQ+ community and told our Youth Peace Leaders stories they had never heard before. We left SD Pride that day with newfound information and passion to carry out our project. Our first step as a Thread was also to create a problem statement that explained why we would be doing our project. This is what we came up with after our first two meetings: “Statistics and personal experience have shown that the LGBTQ+ community in America is still marginalized and not accepted by much of our country. 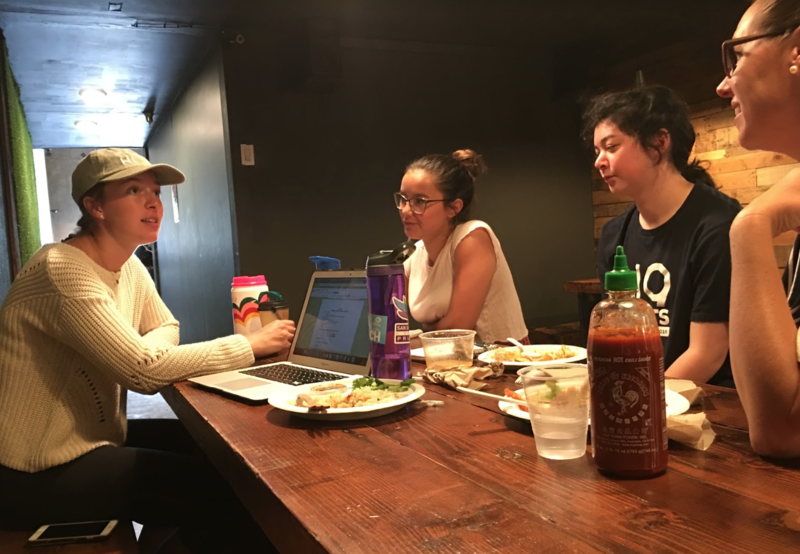 Through education and advocacy, we hope to bring tolerance and support for the community.” We decided that we wanted to educate and advocate in a unique and fun way. By the beginning of our third meeting, our project idea was finalized. We toyed with a few ideas, from an educational program about the LGBTQ+ community for the military to the creation of all-gender locker rooms. 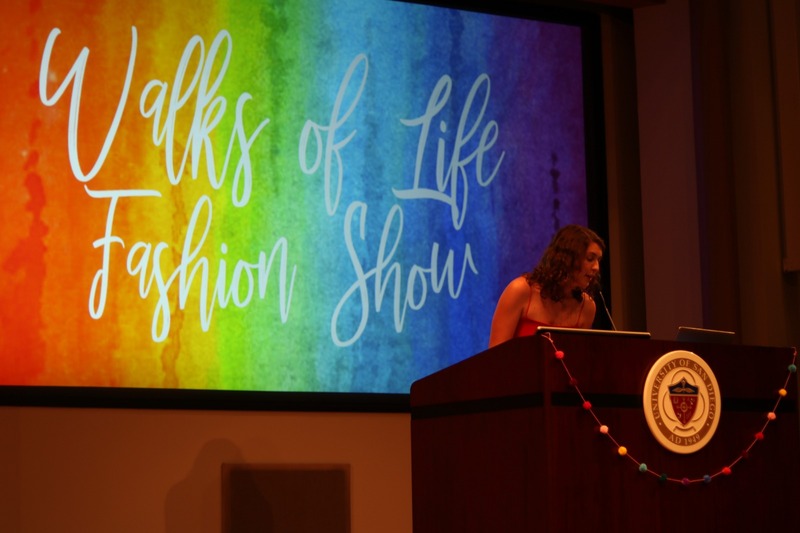 Ultimately, however, we decided on an idea that was both realistic within our time frame and could carry a huge impact; we decided that we wanted to hold an educational and celebratory LGBTQ+ Fashion Show. We wanted to take the history lesson we got from SD Pride and turn it into something vibrant, visual, and fun to engage with. The Youth Peace Leaders came up with the idea on their own, and then as a Thread we critically assessed all aspects of the idea to make sure that our project was promising and feasible. The moment that we all completely agreed on the show was exciting and beautiful; we all had the biggest smiles on our faces. We could not wait for what was to come, but we all knew that we would have to put in a lot of work to actually make it happen. Once we had the initial idea, we spent the next week doing individual research, scouting models and speakers, and working out the layout of the fashion show. 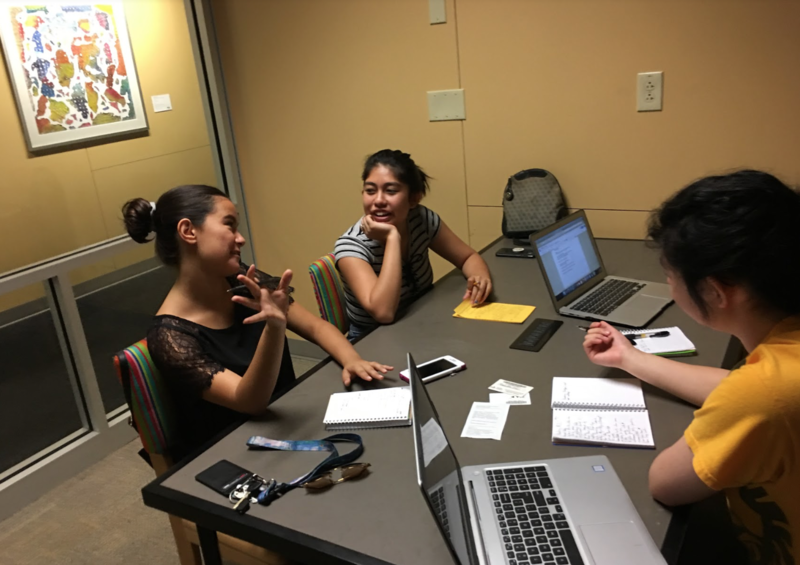 At our next meeting, we invited SFI’s Program Officer Tina Medina to join us and take a look at our idea. Tina helped us tremendously by finding gaps in our project we might not have found otherwise. She also introduced us to the idea of making our fashion show have a narrative style by having walks that represent major historical LGBTQ+ events. With Tina’s help, our show was able to become much more intentional and we were able to incorporate amazing pieces of history in an interesting way. Once our idea was solid, our Thread split up tasks. Together, we were all in charge of writing a different piece of the script, researching LGBTQ+ history, and continuing to scout for models and speakers. As Interns, we were in charge of managing the group and making sure that everything was getting done. We wrote the opening and closing remarks of the fashion show, took care of tech during the show, created graphics and marketing materials, and secured a venue. Nicole was our model and speaker point of contact and coordinated with everyone involved about their parts. Jaddin was in charge of writing letters for donations and inviting different community stakeholders to the event. Vika was in charge of marketing and finding a venue for the event. We next reached out to Mentor Jen about the idea and she responded with resounding excitement for us to carry out the fashion show. She let us know she would help however she could to make it a reality. 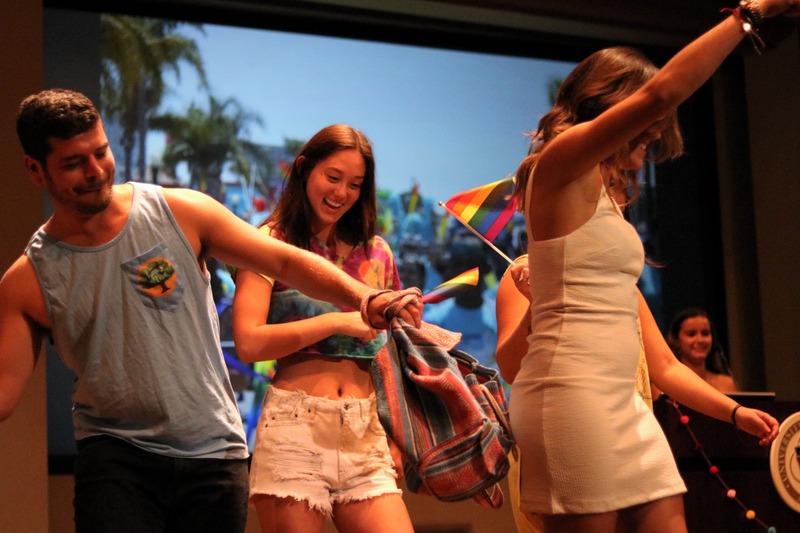 When we visited SD Pride, we talked over the idea with both Mentors, Jen and Fernando, who helped bring new ideas to the table on how to bring the fashion show to a more impactful level. Over the next few weeks of meetings, our fashion show began coming together more and more. We went through a hiccup with our first choice venue, but were able to secure an awesome space at the Kroc School. We named it the Walks of Life Fashion Show. We found models within our own friend groups, but we were also able to find a few models and a speaker from out in the San Diego community. As a Thread, we are so happy with how our show came out, and are excited to share some pictures of the show with you. “We each are made up of many different identities and qualities. That includes our sexuality, gender identity, occupation, interests and much, much more that make up our whole person. Those who are a part of the LGBTQ community are often limited to their sexuality or gender identity. We have seen the problem with this: it limits someone to only one identity. There is no one version of ourselves. Each person is unique and their expression of themselves will vary. As our Thread reflected on our summer together, we reflected with warm hearts, pride, and a smile. From our first meeting in early June to the show, we have come a long way and accomplished so much. 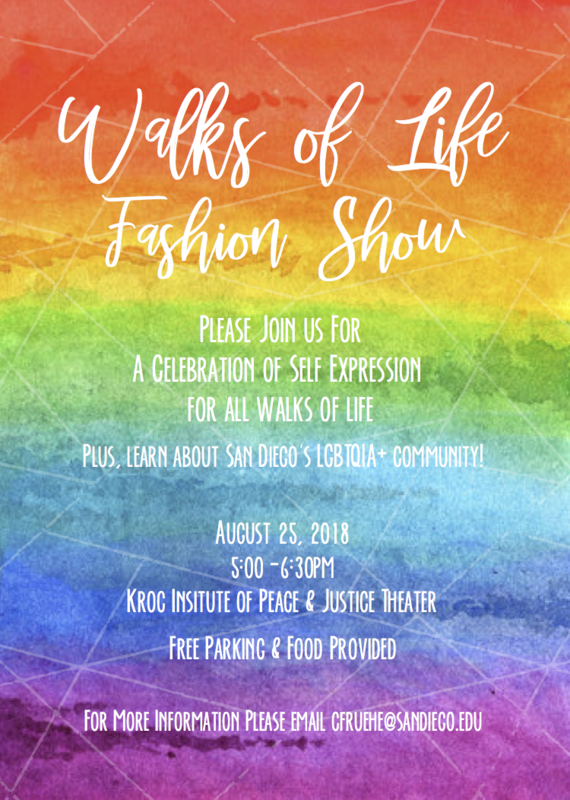 We know that one fashion show isn’t going to change the world, but it was our Youth Peace Leaders’ first successful attempt in making social change. Our world is complex and large, and our Youth Peace Leaders came out of the SFI experience with this understanding, but they also found a network of passionate, motivated people working to change the world. 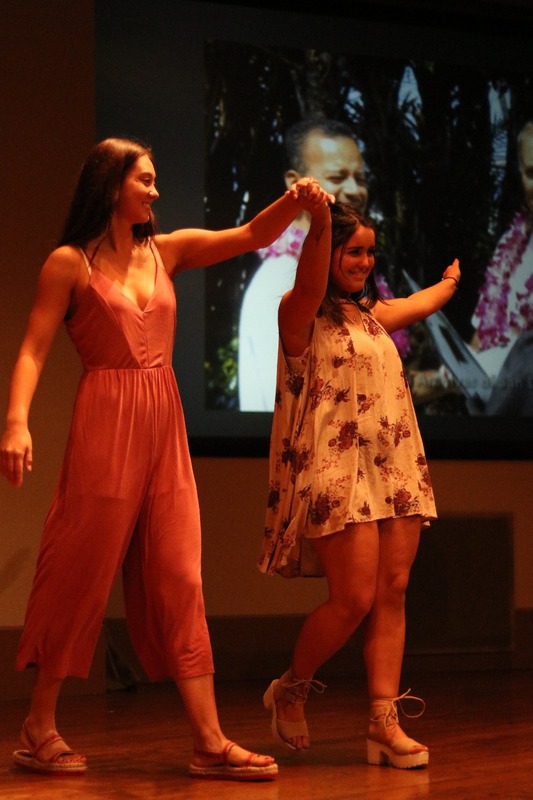 Our fashion show might not have been what we initially expected when we first agreed on the idea, but we did accomplish the things we set out to do. We educated people about aspects of the LGBTQ+ community that they were unaware of and we celebrated the LGBTQ+ community in the process. We made our impact in a few different ways: with the models and fashion show participants, as well as the audience members. The people that participated in the show were able to take pride in and celebrate themselves. 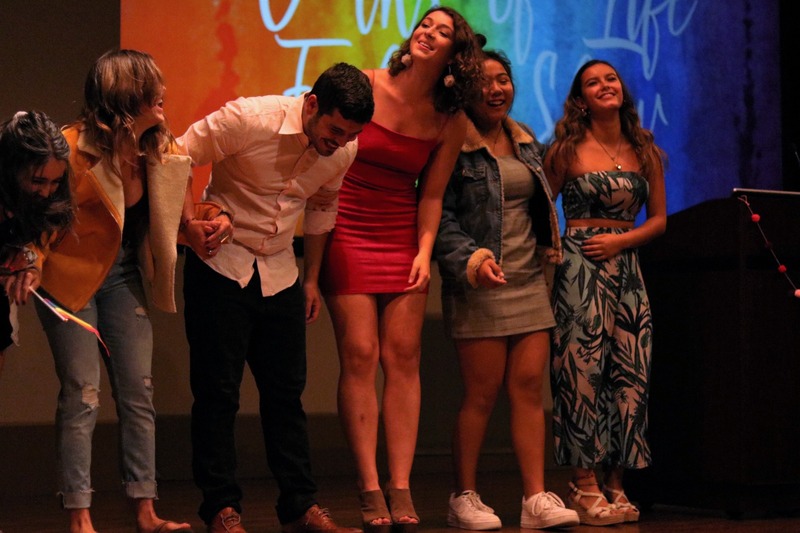 After the show, models and speakers all shared how they’d never had a chance to be themselves in that way and that they were so happy to have had the opportunity to. 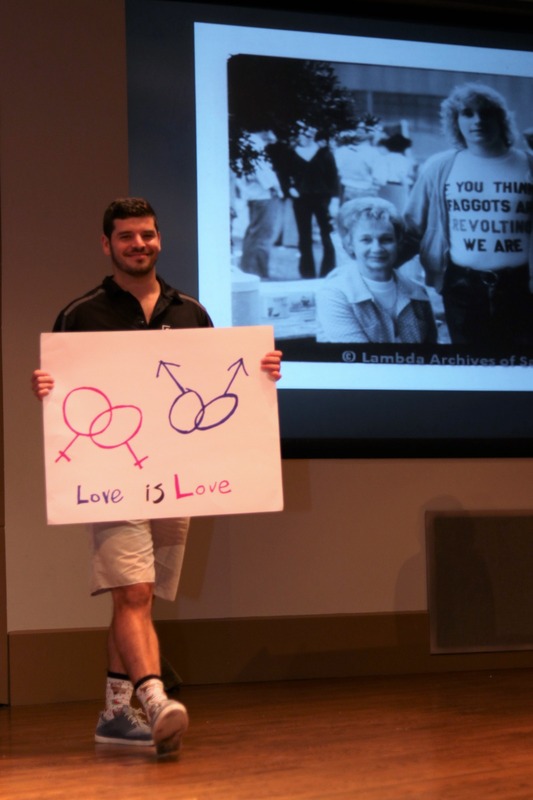 Audience members told us they had never heard the history and statistics we shared, and wanted to make it known to others and be better allies for the LGBTQ+ community. We all agreed that we wished we had more time. Time placed a great constraint on our Thread, especially because our project was an event. Event planning takes time, connections, marketing, and much more. In certain ways, we had to give up things we would’ve loved to have as a part of our event because there simply was not enough time. To future SFI participants, whether you are looking to become a Youth Peace Leader, Intern, or Mentor, go into the experience with an open mind and heart, have no expectations, and push yourself to get out of your comfort zone. SFI provides you with the tools and space to find your passion and use it to create meaningful social change in your community, which is an opportunity that youth lack in our society. 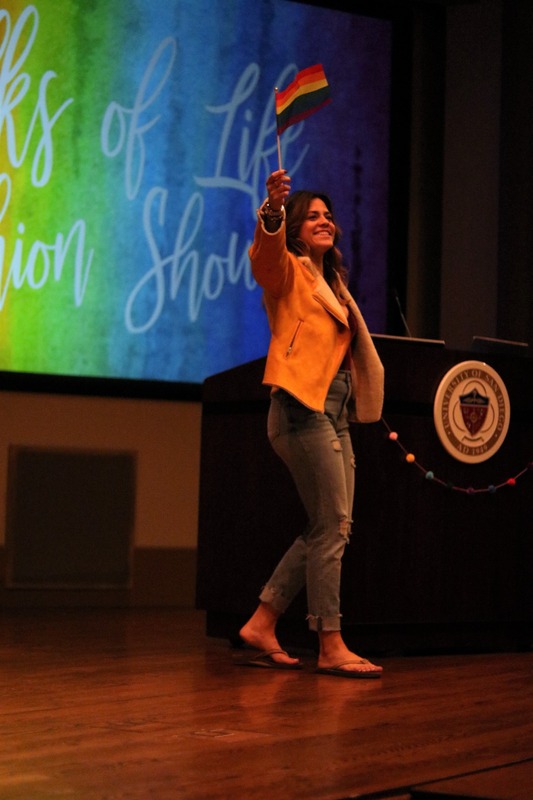 As a Thread, SFI taught us that we can be strong leaders and that the power to create a more connected world is in our hands.